It really doesn’t matter which team the wild-card Colorado Avalanche face in the first round, because they’ll be a threat regardless. The fact they went undefeated in regulation over their last 10 heading into Game No. 82 is undeniable proof. 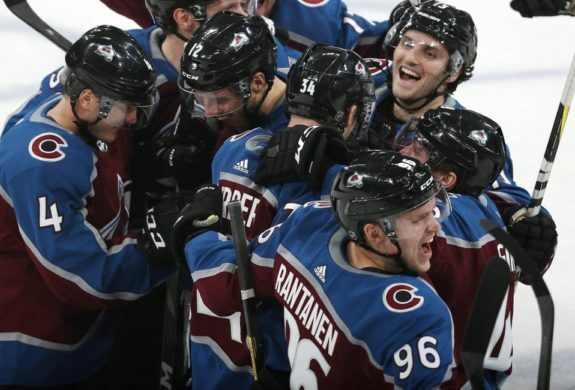 Not only are the Avalanche arguably the hottest team in the NHL, but many of the games they’ve won over this latest stretch are prime examples of their ability to deliver in high-pressure situations. For example, they’ve beaten the Minnesota Wild, Dallas Stars and Arizona Coyotes, three teams who were in the thick of the wild-card race with them. The Avalanche also beat teams ahead of them in the standings like the Las Vegas Golden Knights, and Winnipeg Jets, the latter of whom they may actually play in the first round. It all depends on how the Central Division shakes up entering action Saturday night, with one point separating the top three teams in the Jets, the Nashville Predators and St. Louis Blues. The Avalanche went 2-2 against the Predators this season, for the record, and while they lost four times to the Blues, including once in the last 10 games, that was in a shootout. In fact, three of those losses were either in overtime or a shootout, so it’s clear that the Avalanche at the very least match up well against them. Each of those teams are an option if the Avalanche leapfrog the Stars to earn the first wild-card spot. If, on the other hand, they stay where they are as the second wild card and face the high-octane, Western Conference-winning Calgary Flames, who have scored the second-most goals in the league (288), so be it. After all, the Flames have a glaring weakness: in net. Neither Mike Smith or David Rittich has taken the reins to earn the No. 1 spot there. In many ways, the Avalanche are like the Flames. The Avalanche are no slouches in the goal-scoring department, with 256 on the season, good for tenth-most. Granted, for most of the season, those goals have come primarily from the top line of Nathan MacKinnon, Mikko Rantanen and Gabriel Landeskog, with the Avalanche’s depth scoring being a massive issue. 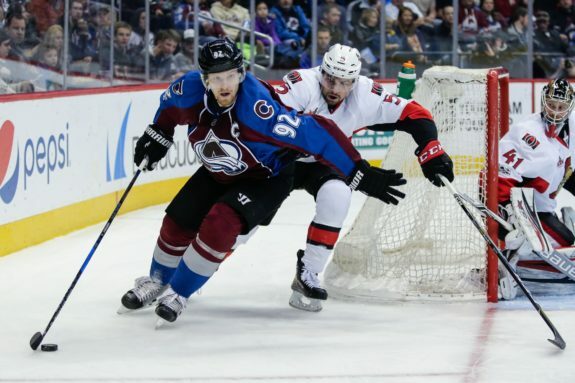 However, when Landeskog recently went down with an upper-body injury, the situation improved drastically, with 12 players apart from MacKinnon or Rantanen scoring in the games he missed. What’s maybe worse for their mystery first-round opponent is that Landeskog’s now back and has five points in four games since returning. With Rantanen now out instead, there’s less concern the Avs can pull through, especially since the two injuries overlapped over a course of three games. The Avalanche still went 2-0-1 with nine goals scored. Admittedly, like the Flames, the Avalanche’s goaltending could use some work, too, with Semyon Varlamov’s work in net requiring vast improvement. In fact, for the second straight season, Philipp Grubauer has had to take over the lion’s share of the duties in the crease as a backup. Varlamov is in a contract year and it remains to be seen if he even sticks around as the Avalanche’s (official) No. 1 guy past this summer; Grubauer may end up filling the role anyway. Almost the exact same situation, with Grubauer taking over for Braden Holtby down the stretch during the regular season, turned out pretty well for the Washington Capitals last spring; They won the Stanley Cup. Even if Varlamov can wrest back the No. 1 spot like Holtby did, it doesn’t really matter. 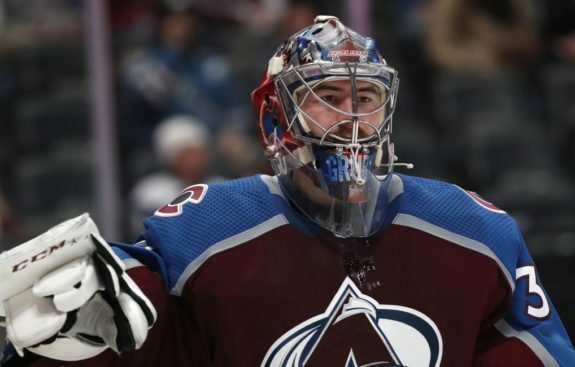 Seeing as the Avalanche seem resigned and even comfortable going with Grubauer from here on out, even past this season, all it would mean is Varlamov will have regained his form and given the Avs and head coach Jared Bednar two viable options in net. There are worse problems to have. Just ask the team that ends up facing the Avalanche in the first round.